This post contains a link from a third party. I have been compensated to include it. “Hey!” I brighten at the familiar face of my husband, Kyle, on the other side of the phone. He looks tired, but then again, so do I. We both are. Gone are the young, youthful eyes I once had, replaced by the exhausted eyes of a working mother. I hear him call Sophie’s name, and she laughs. I feel a twinge of guilt, and tears well in my eyes. I miss her. I know we have chosen this path to keep Sophie out of daycare, but it doesn’t make it any easier. From the moment Sophie was born we both knew that I was going to have to go back to work full time after maternity leave. I didn’t want to, but we just didn’t make enough money at the time to afford me staying home with her while Kyle worked. So he and I made the hard decision to work opposite shifts; I go to work in the day, while he is with Sophie, and when I come home to care for her, he leaves for the nightshift. It takes a toll on our marriage, hardly ever seeing each other. And when we do, we spend most of the time tending to Sophie and sleeping to catch up on what rest we didn’t get the nights before. I knew motherhood would be tough, but I was not prepared for the heart-wrenching decision to go to work every day knowing I wouldn’t see her until the evening. And then only getting a few hours with her before she goes to bed. But no matter how much time I spend with her, it never seems to be enough. In a perfect world, we would be able to afford for one of us to stay at home and the other one to work full time, allowing us to have the evenings and weekends together. But our world is only perfect when we’re together. “Are you listening to me?” Kyle asks, interrupting my thoughts. I look back at the screen and this time Sophie is in the frame looking at the camera. I hadn’t heard what Kyle said. I am too busy thinking of earlier that morning. I found it incredibly difficult to get up for the day and actually make it into work. I arrived at work disheveled from the lack of sleep I got the night before. Even though I hoped no one would notice, someone undoubtedly did. As I smile through my exhaustion, I try to ignore the fact that being a mother has drained me to a level I never imagined before. I try to forget that I don’t know anymore what a true night’s rest really means. I try to forget that my desire to stay at home is stronger than my desire to work, even if it isn’t possible. I try to forget the guilt I have every day for being at work and not being home with Sophie. I leave before she wakes and I stay up long after she goes down. There just isn’t enough time in the day for me to have with Sophie what I know she wants and needs from me. Some days I hold back tears when she has had a rough night, knowing that she will probably have a rough morning the next day when all she wants is to be held and fall asleep in my arms. On the days where texting isn’t enough, Kyle and I FaceTime for fifteen minutes before she has to go down and I have to go back to the harsh reality of work. A good part of me knows that eventually she’ll need to go to daycare, but for right now it helps make being a working mom easier knowing that she’s been watched by Kyle. The words pierce my heart. What can I do? I’m at work and as much as I want to go home and be there with Sophie, I know it’s just not possible. We can’t afford for one of us to not be working, but we also didn’t realize how difficult it would be until we were faced with the reality of the sacrifices. “I’ll be home soon.” I tell her. I try to remain optimistic. Only four more hours until I can go home. It’s time to say good bye. Even though FaceTiming helps break up the day, it also makes me feel guiltier some days because I don’t want to go back to work. To my coworkers, four hours is nothing, but to me it’s a lifetime. The moment that clock strikes 4:30 p.m., I’m out the door before it can turn 4:31. Nothing makes me happier after a long day than walking into our home and seeing Sophie’s face light up as she’s squealing, running to my legs to hug me. At the end of the day, I go to bed exhausted, sad that the day for Sophie is over, and that I didn’t get to spend that much time with her. But to all of the other working moms out there – remind yourself that you are doing the right thing, and you are not a bad mom. You are the best mom you can be. You always will be, despite the fact that you think you may not be. But most importantly of all, you are her mom. 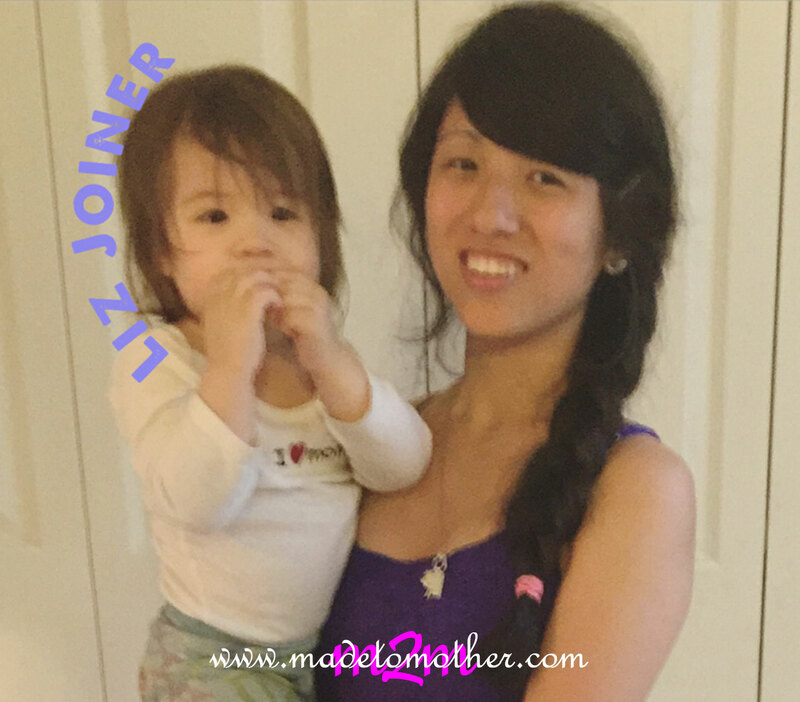 Liz Joiner is a wife and mother, working mom by day, blogger by night. As someone who spends such little time with her daughter, she cherishes every moment she has with her daughter and her husband. 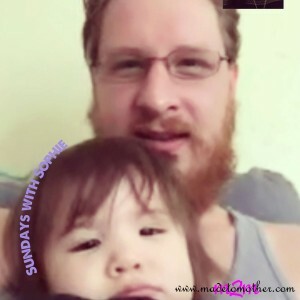 Her blog, Sundays with Sophie, started when she found out she was pregnant back in 2013, and it became a place where she could journal her pregnancy and soon the navigation of the adventures of parenthood. 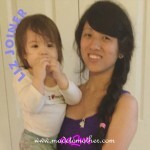 Thank you again for letting me guest post Wynter!